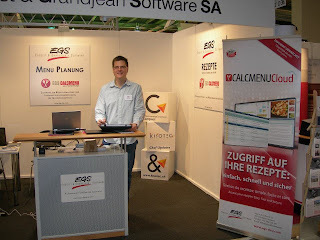 Igeho 2011 – a success for CALCMENU! CALCMENU joined hundreds of exhibitors in the recently concluded Igeho exhibition for international food, catering and hospitality companies held in Basel, Switzerland. In the 5-day affair of one of Europe’s most important events for the foodservice industry, EGS CALCMENU’s CEO Marc Enggist presented the different EGS solutions to CALCMENU’s visitors as well as showed a sneak peek of CALCMENU’s newest recipe management solution – CALCMENU Cloud. This cloud-based recipe management solution is geared to be formally launched in 2012. 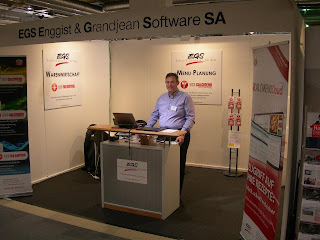 Enggist noted a remarkable number of interested clients and visitors for CALCMENU’s recipe and back office management solutions, as well as its latest solution for 2012 -- CALCMENU Cloud. Many signed up to receive updates and information once this cloud-based solution is launched in the market. CALCMENU Cloud offers convenience on accessibility which is one of the most sought-after features paving the most current direction to the software’s future. Moreover, present strategies are providing customized solutions for medium to large groups of foodservice professionals who need recipe management, menu planning, nutritional analysis and more. 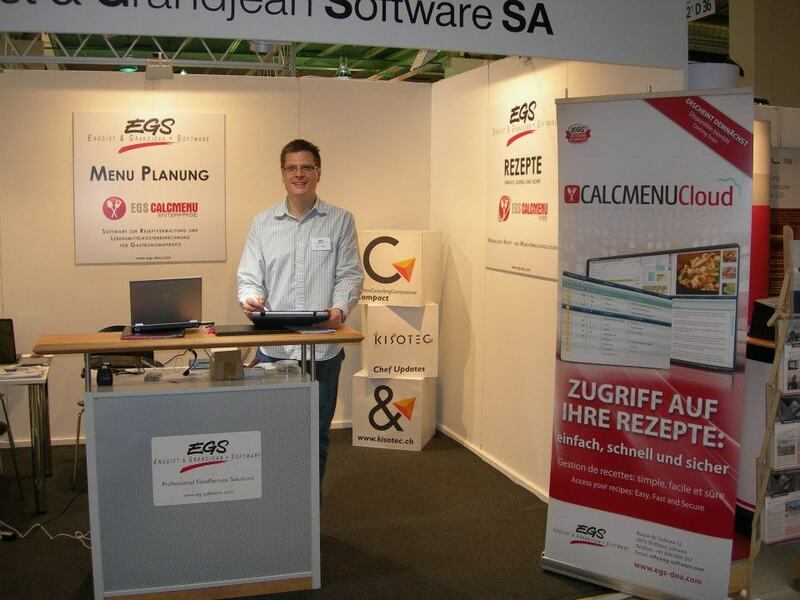 Loyal CALCMENU clients were also welcomed at the booth to update their solutions, with the CEO himself assuring them to expect better before- and after-sales service, prompt customer support and faster delivery of products and information. 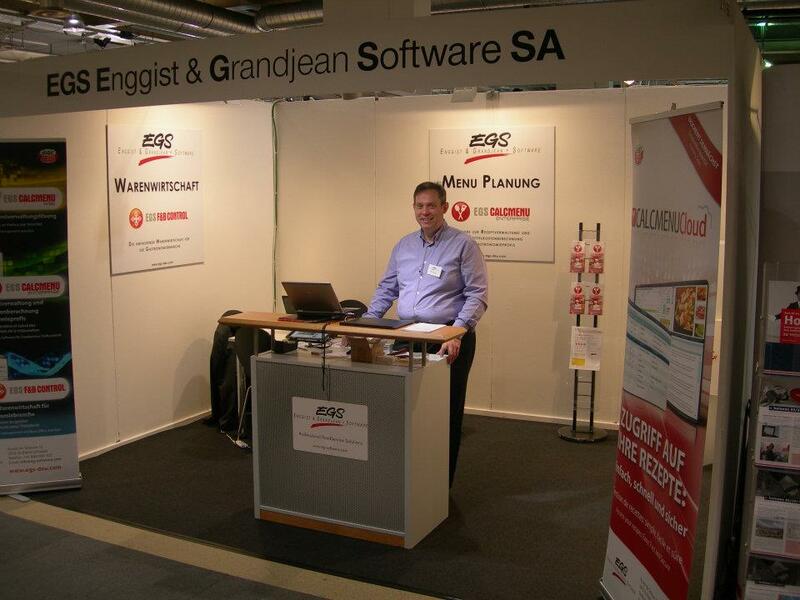 Also at Igeho, Mr. Roger Zeender of Kisotec has been appointed as the exclusive Swiss distributor for the German-speaking regions of EGS CALCMENU solutions. Zeender is a Federal Diploma Chef / Production Manager and a Global Master Chef in the World Association of Chef Societies (WACS). His expertise expands EGS’ market across Switzerland and strengthens the training and support base in the country and other parts of the world. 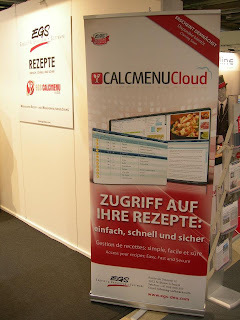 To know more about EGS’ latest offering -- CALCMENU Cloud, visit www.calcmenu.com or e-mail us at info@eg-software.com.